When I visited Hopewell in 2003 (to give a talk), I was shown a well-publicized brochure touting 44 Sears Homes in Crescent Hills. As mentioned in several other blogs (here, here and here), I feel strongly that they’re wrong about 36 of those houses. 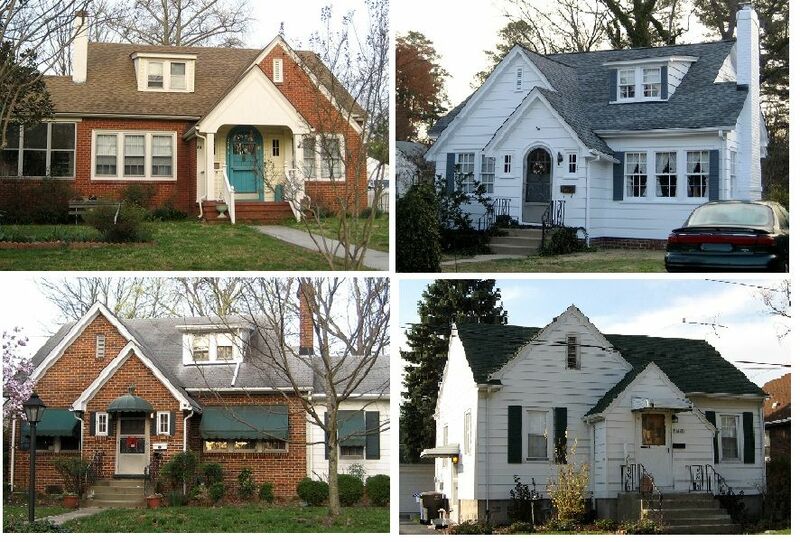 In my personal (and professional) opinion The Crescent Hills neighborhood in Hopewell has eight Sears Homes. 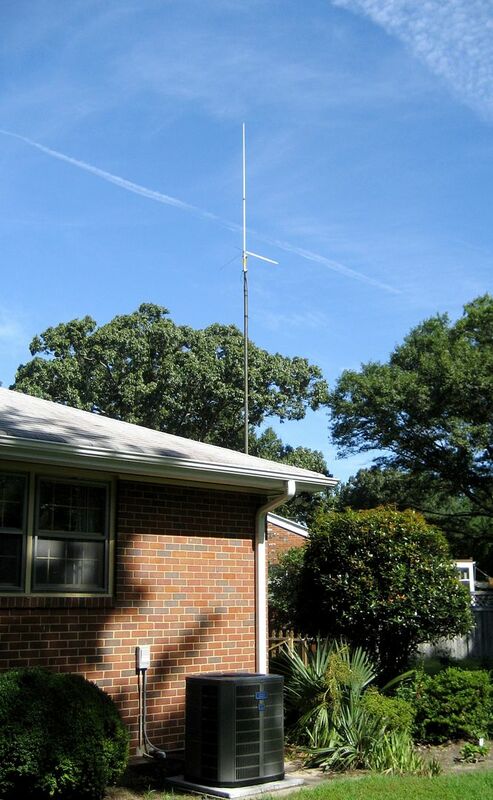 One of the houses on that “list of 44″ was this house (shown below). The brochure claimed this was a Sears House: The Newbury. Uh, no, it's not. 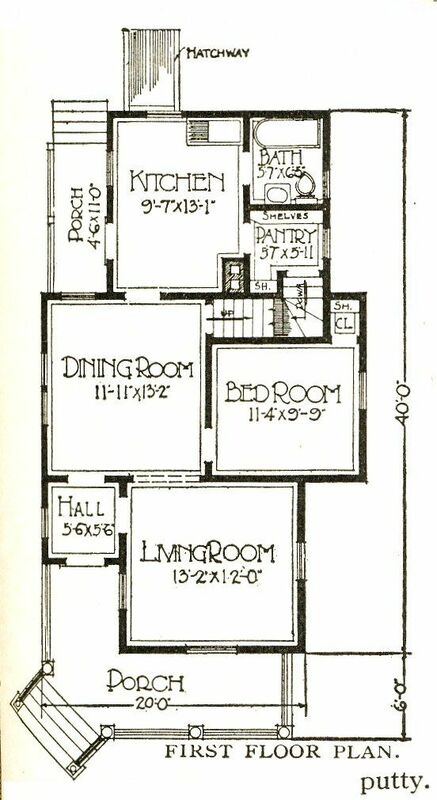 According to the brochure, the house shown above was The Newbury (from Sears) with some "differences. Take a look at the list of differences. Those are a LOT of differences!! 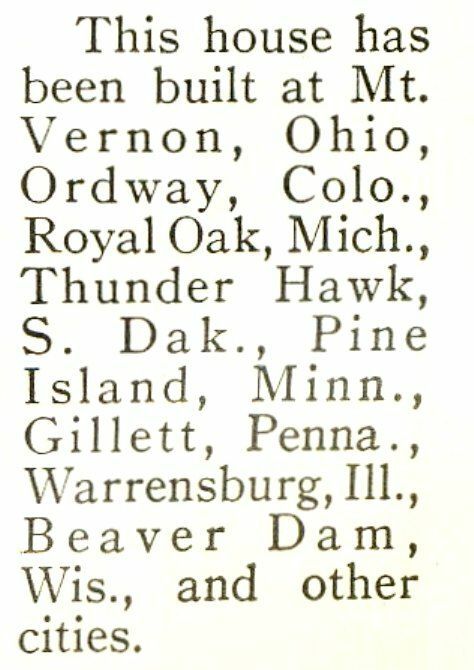 Here's a picture of the Sears Newbury from the 1936 catalog. 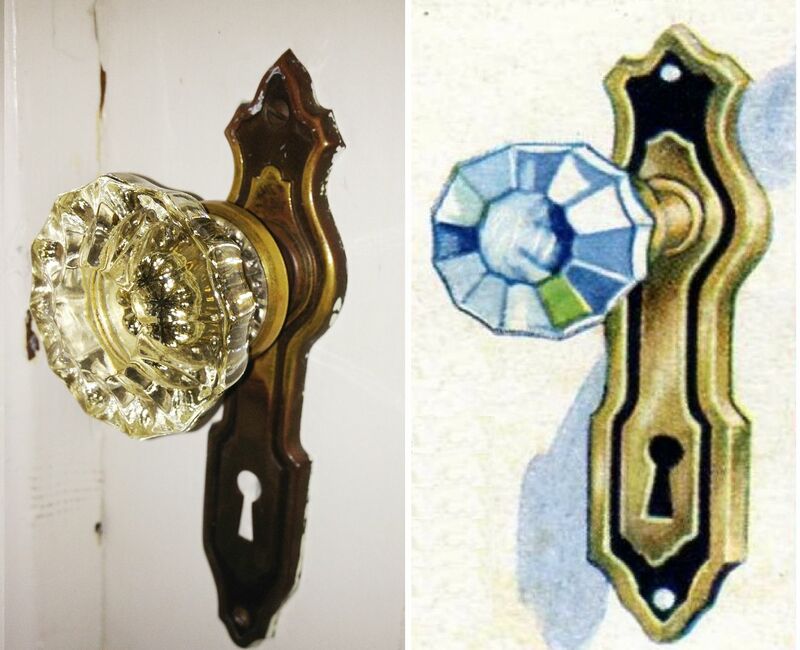 And here's a picture of a real Newbury (Elmhurst, IL) shown next to the catalog image. You'll notice that the house in Elmhurst actually looks like the catalog picture! 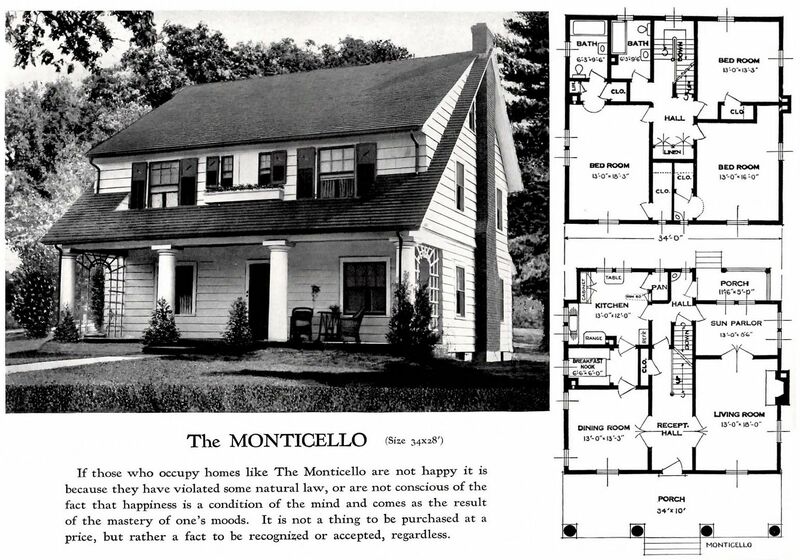 And here's a picture of the catalog page compared to the house in Hopewell. 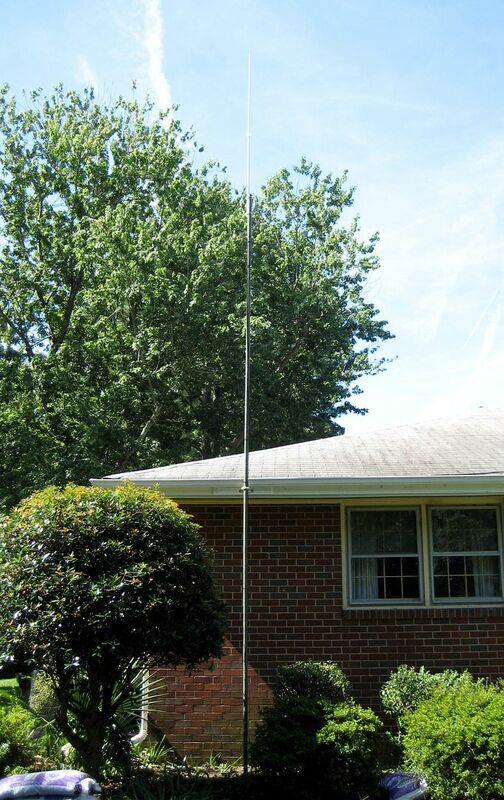 You may notice that the house in Hopewell looks nothing like the catalog picture. Ah, but thanks to Rachel Shoemaker, we now know where this house in Hopewell came from! 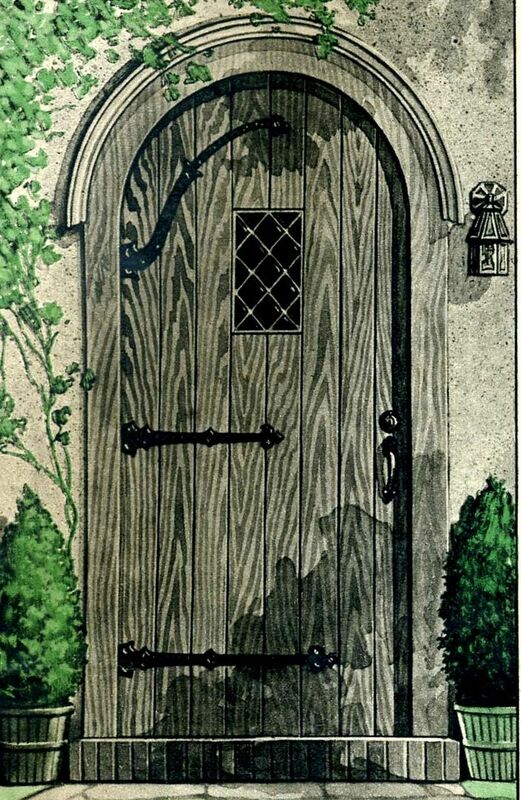 It's from "Standard Homes Plans" (1923, 1928 and 1929). You may notice that THIS looks a lot like the house in Hopewell! Close up of the house. Beautiful house! And, it looks a lot like the catalog picture! So that’s one more house properly identified in Hopewell’s Crescent Hills neighborhood, thanks to Rachel Shoemaker. 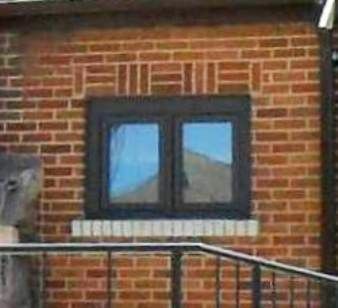 I wonder if the homeowners of this house know that their house came from a Plan Book? 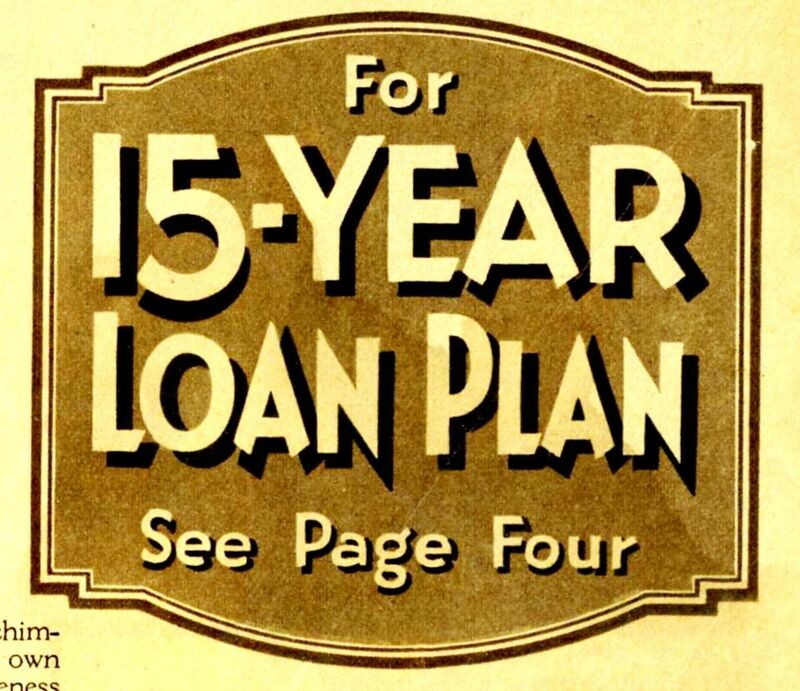 To learn more about plan book houses, click here. To read more about Hopewell’s houses, click here. 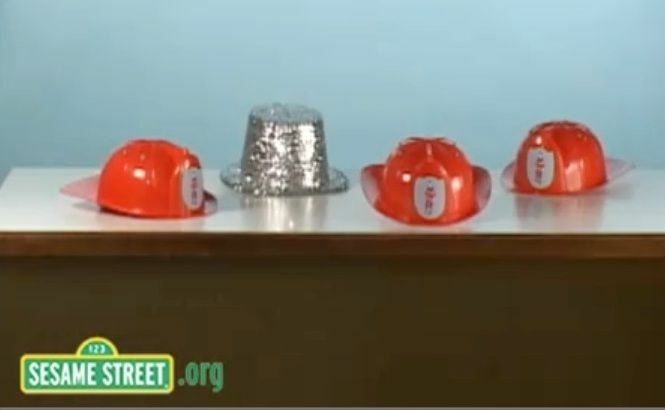 My friend Rachel reminded me of this fun little ditty from Sesame Street, and suggested that perhaps a few of the 7.5 million people who *think* they have a Sears kit home should watch this video to learn a little more about the skills of observation. 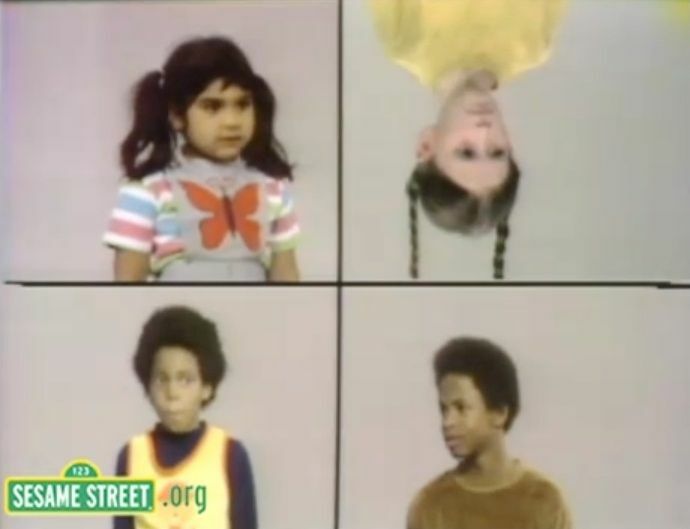 You might want to click this link (Sesame Street video) while you scroll down to see the photos, because the music is so darn toe-tapping happy. You may notice that one of these things is not like the others. Now let’s try it with houses. One of these houses is not like the others. Did you figure out which one is not “like the others”? Actually, I’m just funnin’ with you. It’s not hard to figure this one out. The three wooden-frame houses with the big two-story columns and the hipped roof and the gabled dormer and the oversized front porch deck and the six windows across the second-floor front and the big picture windows on the first floor front and the two exterior doors stacked over each other are the Sears Magnolia. 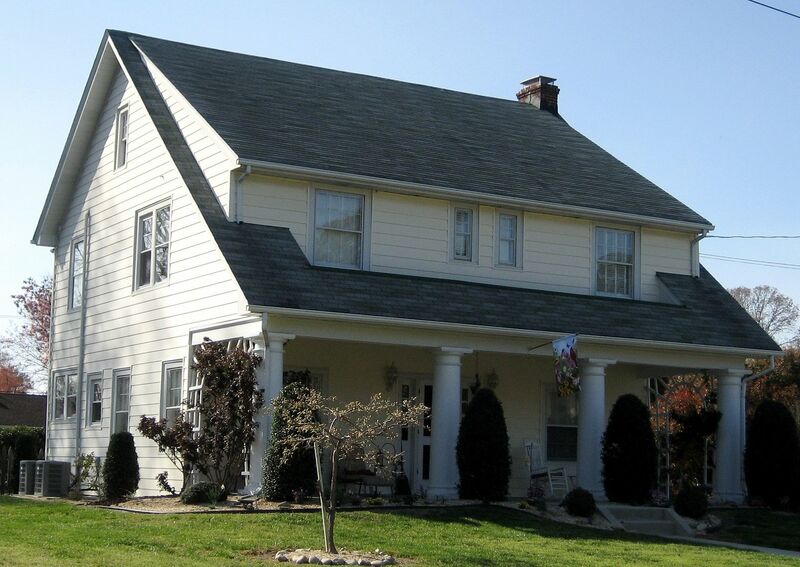 The brick house with the one-story columns and the gabled roof (no dormer) and the small front porch deck and the three windows across the second floor front and the four double-hung windows on the first floor front and the one exterior front door is a nice house (but not a Sears House) in Hopewell, Virginia. When I first visited Hopewell in 2003, I was told that this was a “Modified Magnolia.” More recently, I was told that someone had “identified” this house as a Sears Lexington. 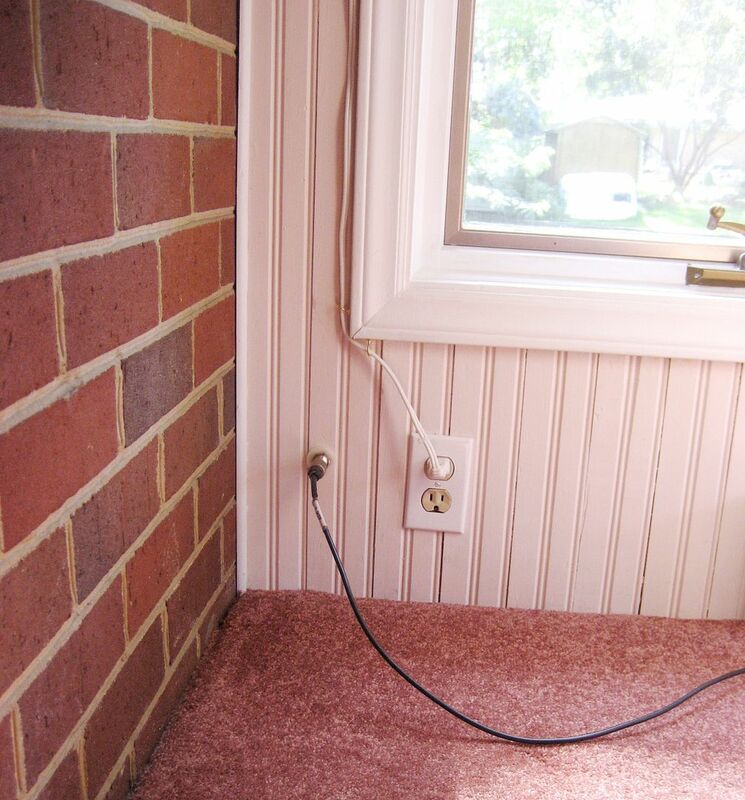 The kind owners gave me a thorough tour of the home’s interior. Having inspected this house from top to bottom (literally), I’m wholly confident that this is not a Sears House of any kind. 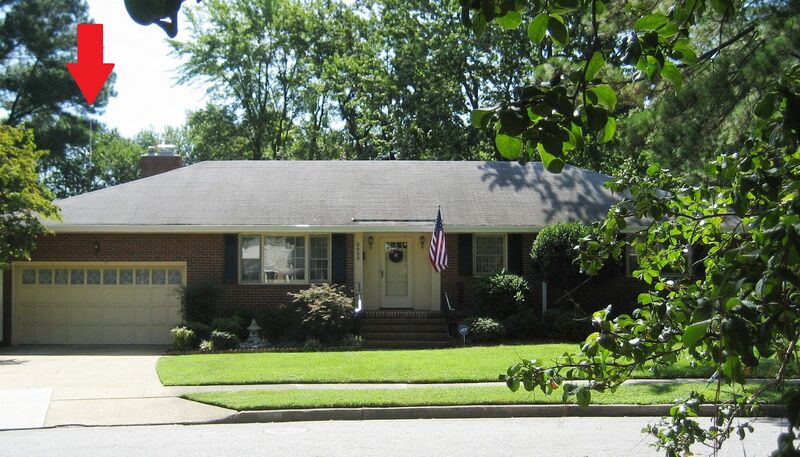 In Crescent Hills (a subdivision of Hopewell), you’ll find eight Sears Homes. Eight. Total. And please note, this house (the brick house above) is not one of them. 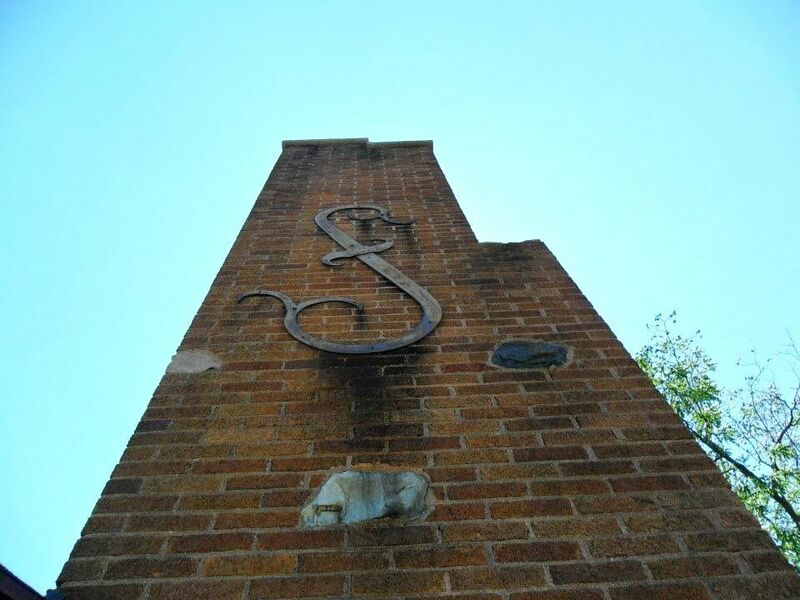 I was crestfallen to hear that Old House Journal recently did a feature story on the Sears Homes in Hopewell. I haven’t had the heart to read it. I can only hope and pray that they focused on those eight Sears Homes in Crescent Hills, and not the make-believe Magnolia shown above. 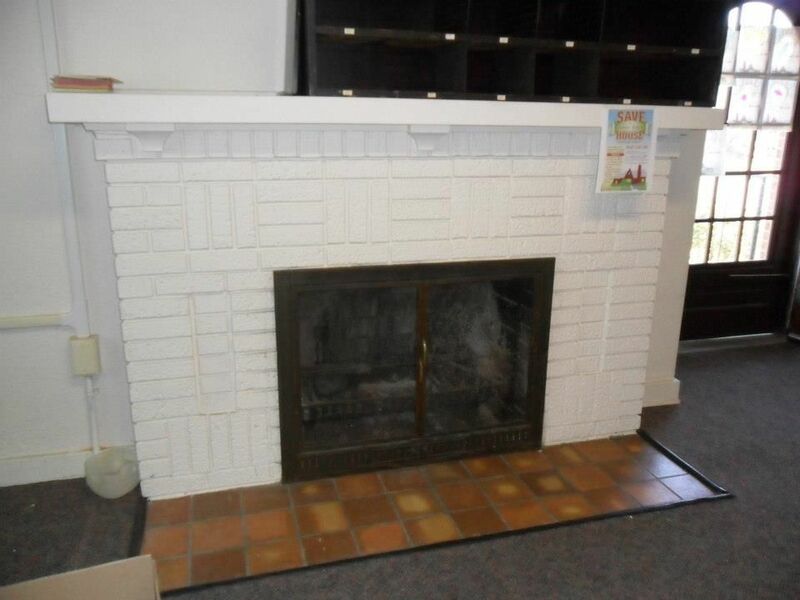 To see more examples of the Sears Homes in Hopewell, click here. To read about the Aladdin Kit Homes in Hopewell, click here. Well, that’s what my husband calls it. In fact, it’s Hettick, Illinois, a small town in central Illinois, about 60 miles north of St. Louis, Missouri. The Silverdale is an interesting house, because it looks like every early 20th Century farmhouse on every rural route in the Midwest. In my travels, I’ve probably seen dozens of them, but discounted most of them, because it’s so hard to positively identify them. 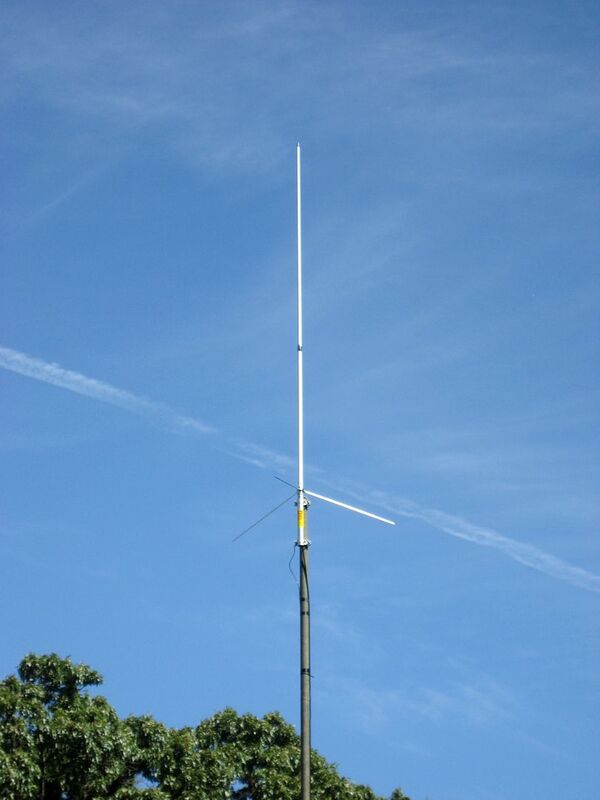 Do you have a Silverdale in your town? Please send me a photo! 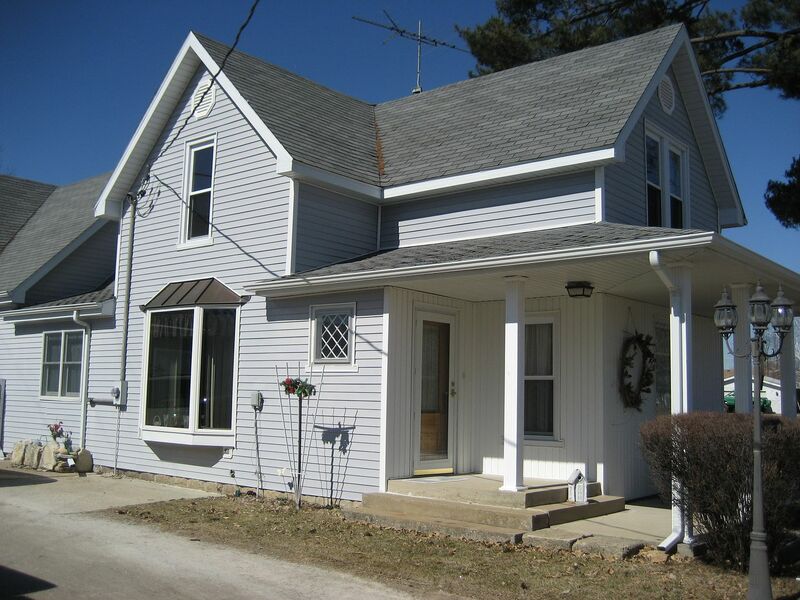 Edited to add: A reader noticed that this house in Hettick, IL is actually a better match to the GVT version (#167)! I hope to add more-better photos in a couple days! The Silverdale as seen in the 1921 catalog. 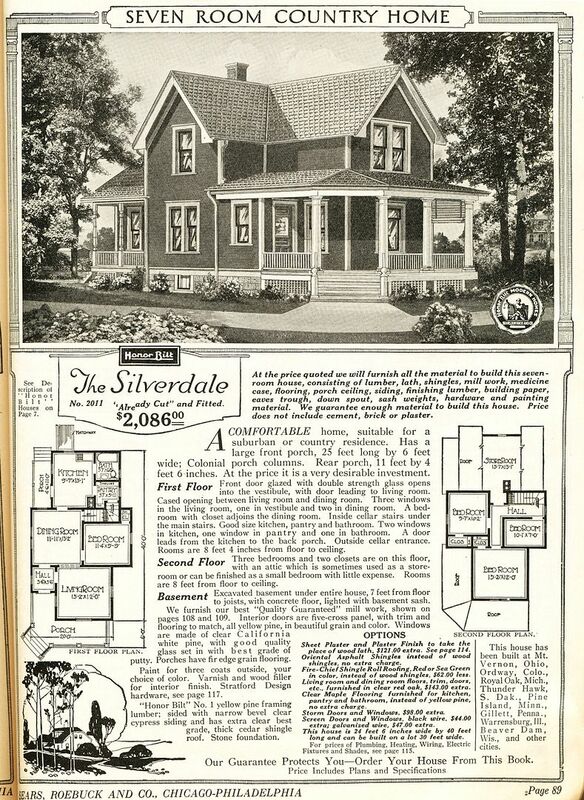 The Silverdale also appeared in the 1916 catalog. The Headache House (well, Hettick, actually). Another view of the Silverdale in Hettick. Floorplan for the first floor. Second floor of the Silverdale. Note, there's no livable space over the kitchen. Back in the day, the room over the kitchen was considered uninhabitable, due to heat and smells that wafted from the kitchen below. There are more than a few Silverdales around. Mr. Egan and Wife seemed to be pretty happy with their Silverdale. 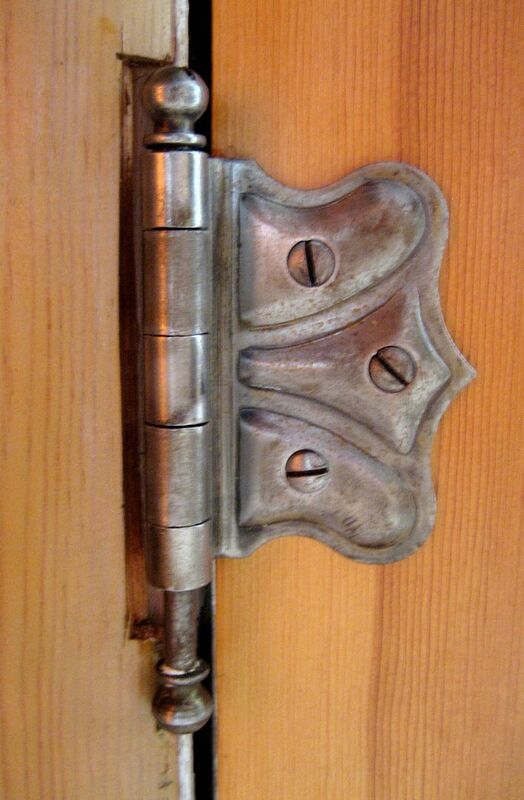 Typical hinge found in Sears kit home. This was found in the Silverdale in Hettick. 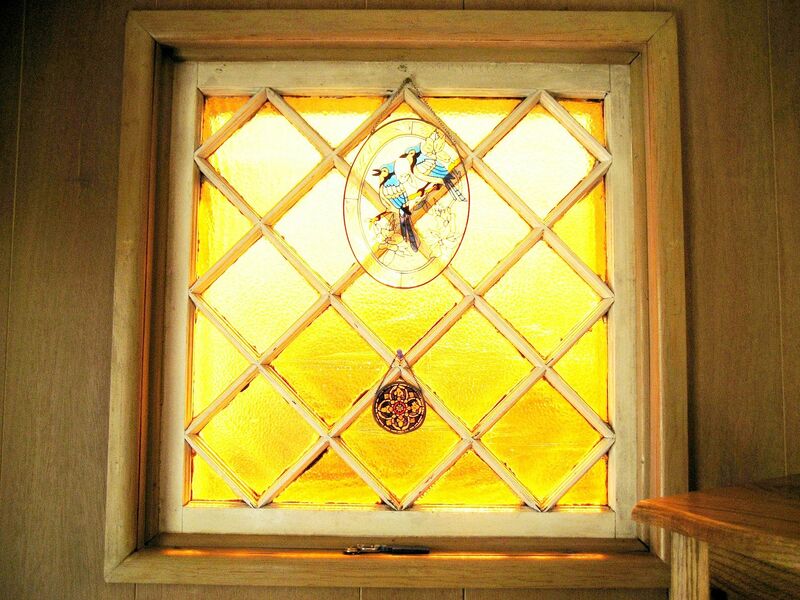 An old glass window (with diamond muntins) has survived the remodelings. 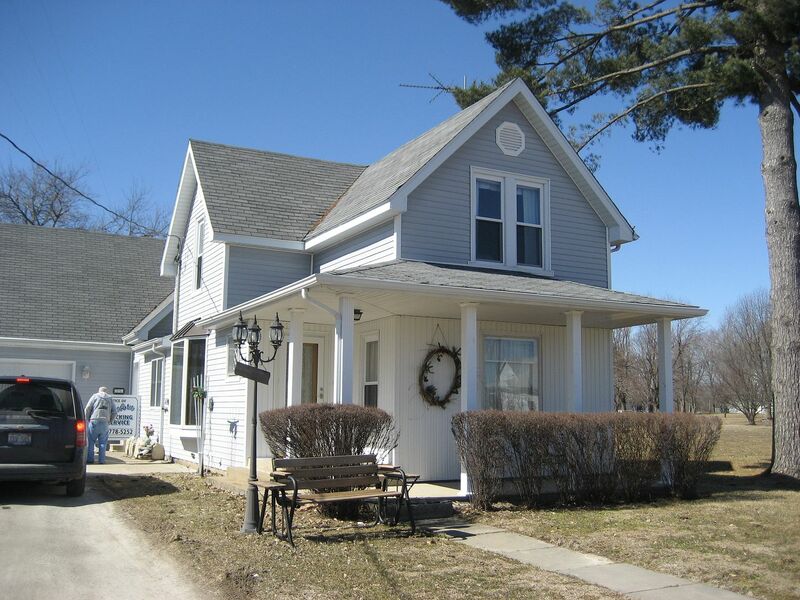 To read about the Sears Homes in Carlinville, click here. To learn more about why I was in Hettick, click here. 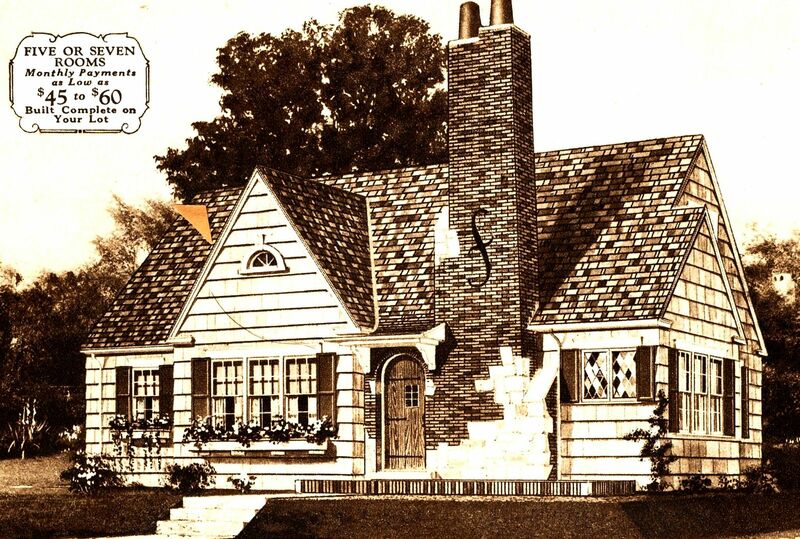 There are more than 600 blogs at this website, with the great majority focused on Sears Homes. 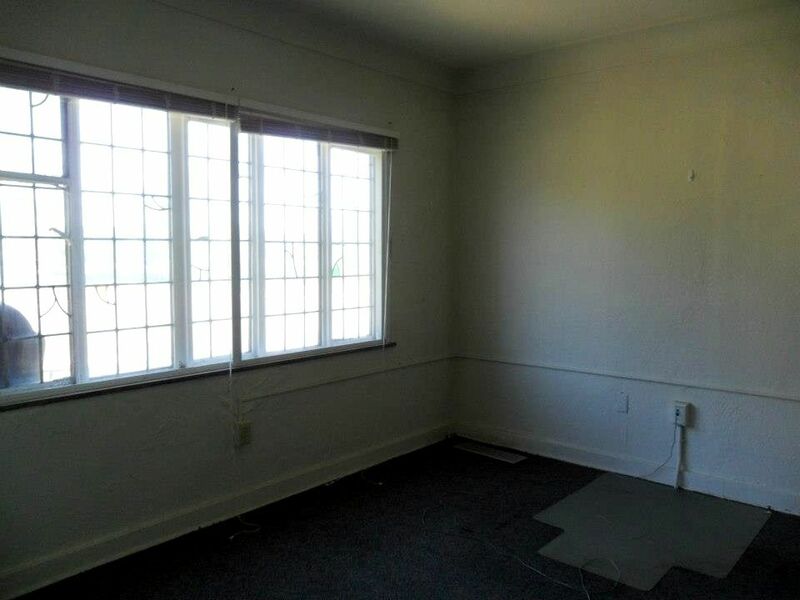 There are 3,000 photos of kit homes to be found here. As the author of all those blogs, I can tell you, this website is an incredible time sink. And yet - since day one - the whole Sears House gig has consistently been a labor of love. 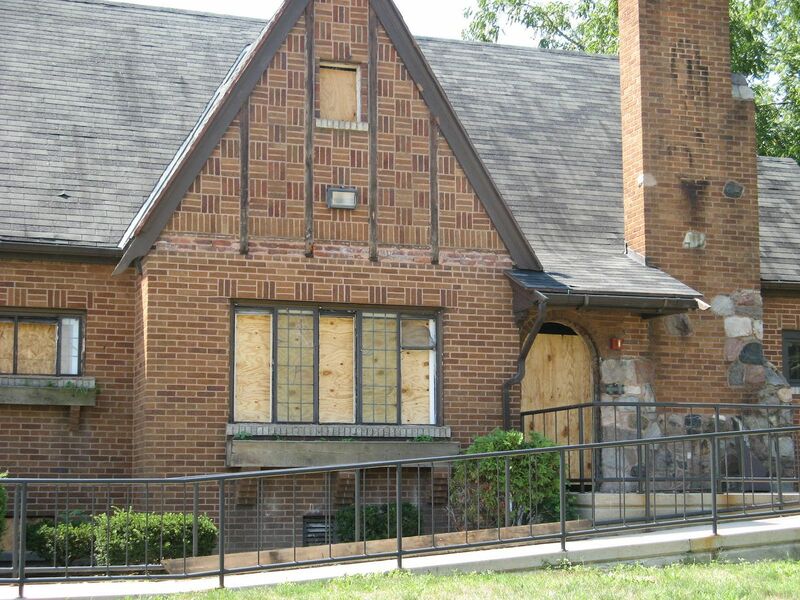 Three weeks ago, a handful of folks contacted me (via email and Facebook) to let me know that a very interesting kit home was threatened with demolition at Bowling Green State University in Bowling Green, Ohio. For several days, I wrote blogs and I wrote emails and I even made a few phone calls, doing all within my power to save this very interesting and historically significant house. Countless others joined the fray, and put forth a herculean effort to save the house. 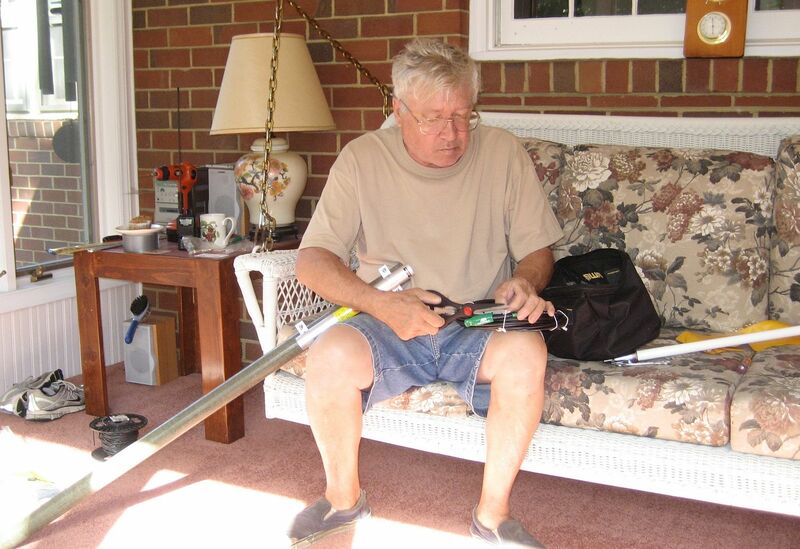 An online petition garnered more than 2,100 signatures in a very short period of time. And yet, the house was torn down. In fact, BGSU tore down this kit home AHEAD of schedule. That was August 10th, two weeks ago. 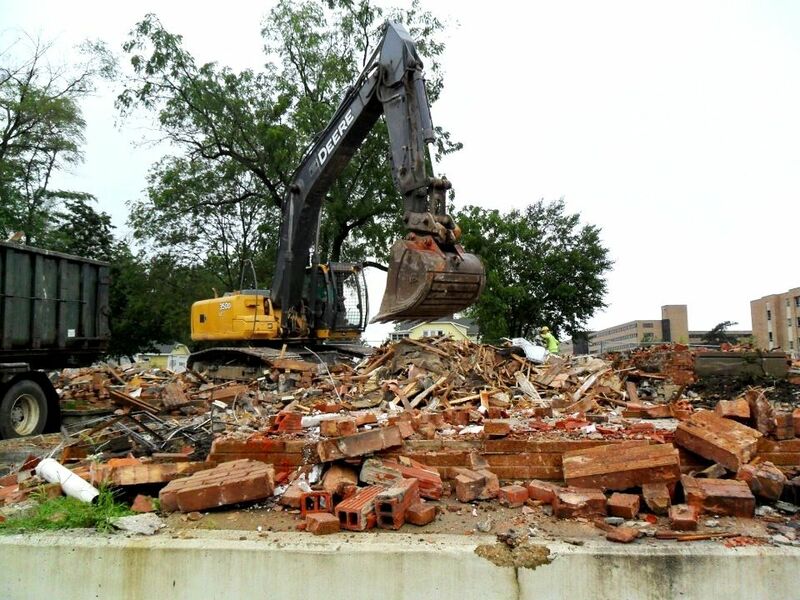 And now a new school year is starting there at BGSU, and new students will walk past the vacant lot and have no idea that their college demolished a kit home. And the house I invested so many hours in trying to save is now just another pile of scrap at an Ohio landfill. This isn’t the first time that I’ve been down this road. It’s about the fifth time that - despite my best efforts - a kit home has been bulldozed. The house on BGSU campus was a Montgomery Ward house, custom designed to be a spot-on match to a Sears House, The Lewiston. 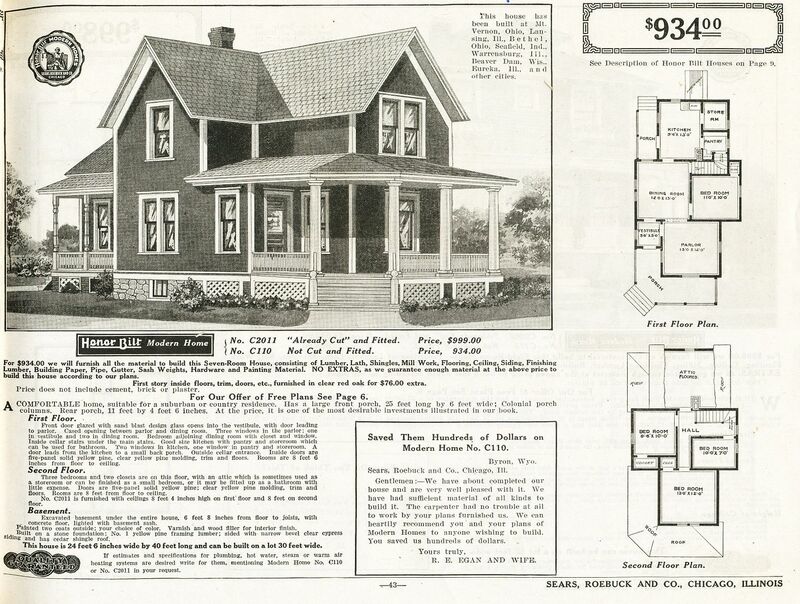 This is the Sears Lewiston, as seen in the 1930 Sears Modern Homes catalog. 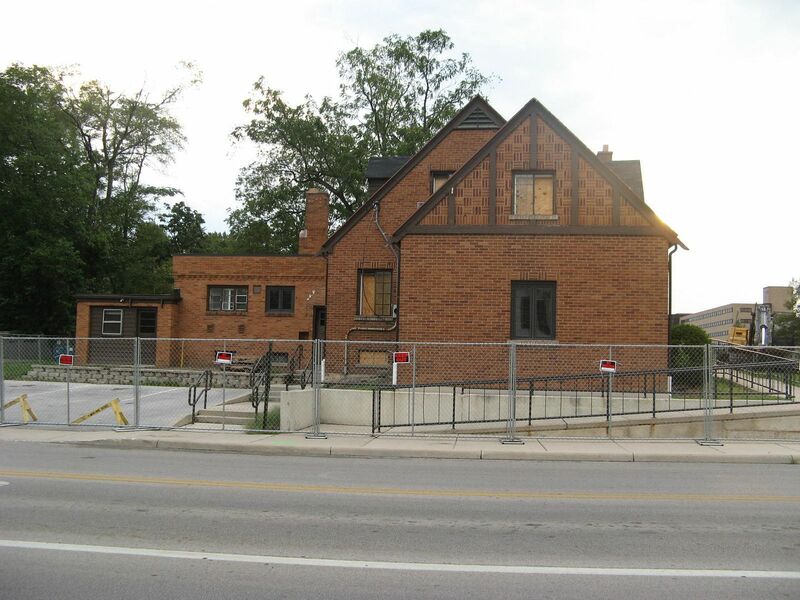 To read more about the house that BGSU destroyed, click here. It was about 10:30 on Wednesday night (June 27th) when I heard those words from the Animal Control officer. It was shocking news, to say the least. 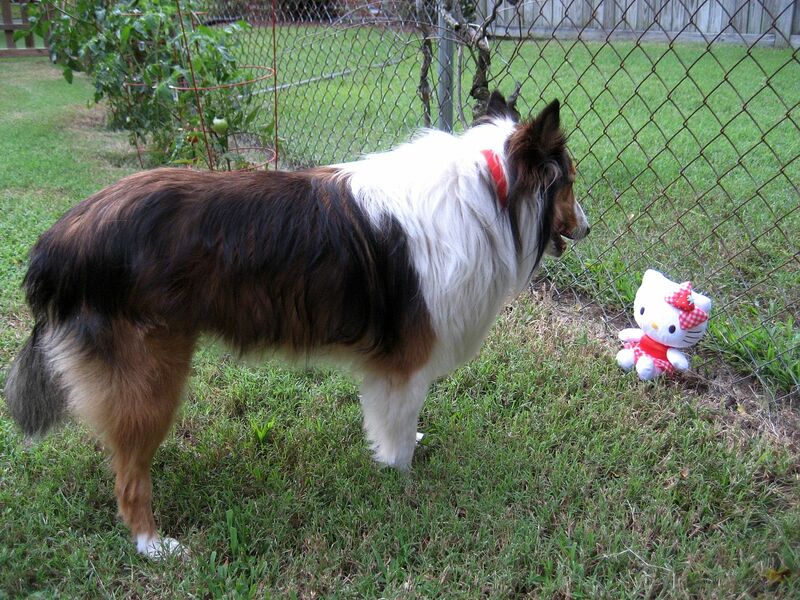 Our dog was “Teddy,” a four-year-old Sheltie, and a much-loved pet. The trouble started when Teddy tangled with a raccoon. 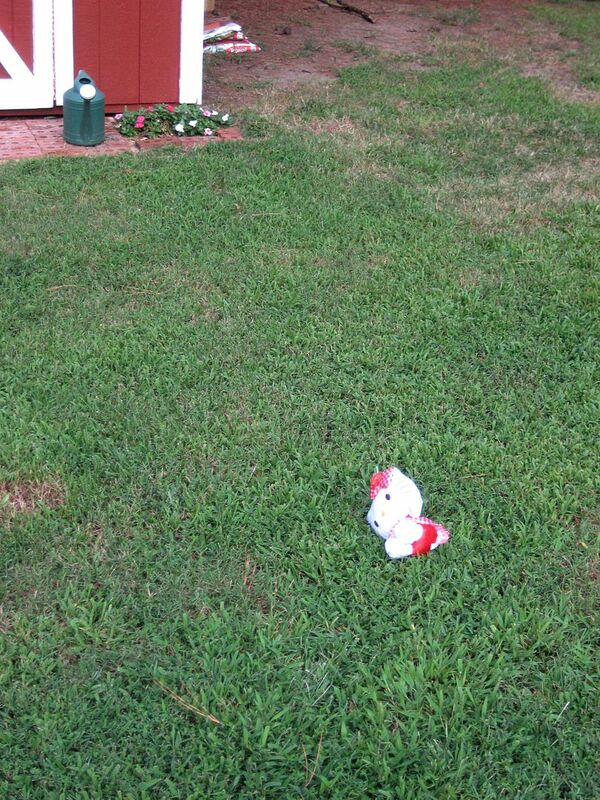 About 9:45 on Wednesday night, we’d put Teddy out in our fenced back yard for her last potty break. Typically she runs to her favorite corner, takes care of business, and then returns quickly to the door, ready for bed. This time, she did not return quickly to the back door. We found her fixated on something, and barking incessantly. When we went outside to investigate, we found that Teddy was barking at a sickly, blood-soaked raccoon, curled up against the chain-link fence in a corner of our yard. The wretched animal had been in a brutal fight, and had a limb nearly severed from its body. The animal’s sufferings were great. I called animal control, thinking that they’d show up quickly and euthanize this poor creature. Twenty minutes later, their familiar blue and white truck arrived. By now, this raccoon had stumbled over to the shed in our backyard (about 30 feet away) and collapsed. 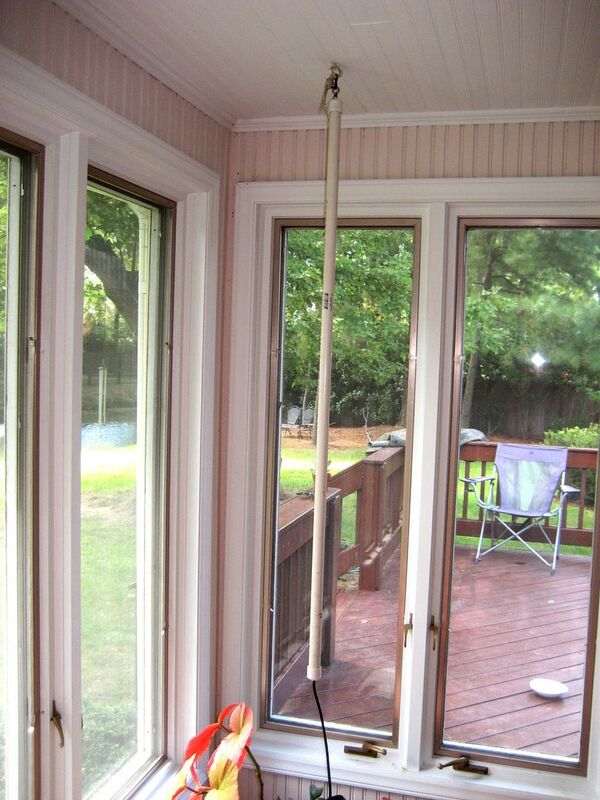 Using the “Noose On a Stick,” the animal control officer placed the now-unconscious raccoon into a cat carrier. The animal control officer informed us that if the raccoon tested positive for rabies, our beloved Teddy would have to be euthanized. Standing out there in the dark, with hubby Wayne at my side, I felt my heart sink to my knees. I produced a rabies certificate, and explained that Teddy was current on all vaccinations. The animal control officer said it didn’t matter, and she re-stated that Teddy must be euthanized immediately if the raccoon tested positive. Teddy has a massive white mane. The raccoon was soaked in blood. If Teddy had had any physical contact, she’d have blood on her mane. There was not one drop. The animal control officer said that the raccoon may have hissed and spit - literally - in Teddy’s eyes, and since the saliva carries the live virus, that could “expose” Teddy to rabies. It was a long night for me, Wayne and Teddy. 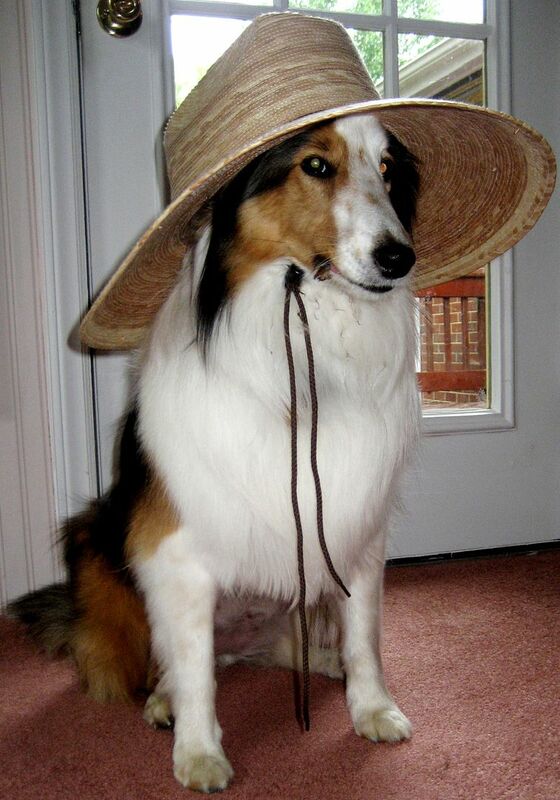 I stayed up all night, alternately crying, praying and hugging my little Sheltie. I was beside myself. Thursday morning, I was standing at our vet’s office (”Dog and Cat Hospital“) when they opened the doors at 7:45 am. I started to tear up, from sheer relief. Teddy and I were ushered into an exam room pretty quickly. When the veterinarian appeared, she calmly repeated what the receptionist told us. The veterinarian then examined Teddy from head to toe, and found no evidence of bites or scratches or contact. I told her that when we’d found Teddy and the raccoon, Teddy was excitedly barking, and running to and fro. The vet put gently placed her hands on either side of Teddy’s head and went nose to nose with my little dog. The vet affirmed that the animal control officer’s information was incorrect, and she then offered to call the health department on my behalf. About two hours later, someone from the Health Department contacted me and was profoundly apologetic. The official was humble and sincere. She told me that the veterinarian was correct. Since Teddy was current on all her shots, state law would require - at most - a 45-day in-home quarantine. That was the worst-case scenario. And that was if the raccoon tested positive for rabies. Friday afternoon, about 48 hours after all the brouhaha began, the health department contacted us and said that the raccoon had tested positive for rabies. There’d be three visits from the Health Department during the 45-day period. 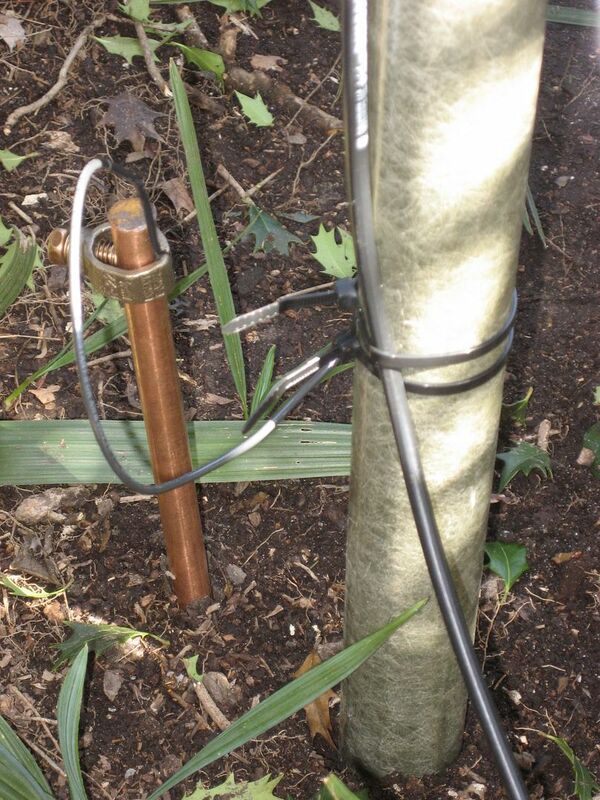 The first would explain the rules of the quarantine and inspect our backyard. The official would also give the dog a cursory inspection. The second visit from the health department would be about mid-way through, and during the third visit, they’d examine the dog one last time and release us from the quarantine. We were given informational pamphlets which explained the quarantine and what to watch out for. Because of the quarantine, we canceled our big party on July 4th. We canceled an out-of-town trip. There were some other adjustments to be made. Teddy could not be left in the backyard unless we were home, keeping an eye on her. When it was dark outside (early morning/late evening), we went out with her. It was a hassle, but we didn’t mind. We love our dog. For Christmas, Santa brought Teddy a doggy bed from L. L. Bean with her name embroidered on it. Even Teddy’s toy box is monogrammed. We don’t have little children in our home. We have a dog. And we love her. Through this experience, I learned some very important things about rabies: Things that every pet owner should know. 1) Most importantly, your dog/cat should be kept current on their rabies vaccination. If Teddy was not current on her rabies vaccine, she’d now be dead. In the Commonwealth of Virginia, an exposure to rabies (such as occurred with Teddy and the raccoon) is enough to require that the pet be seized and destroyed immediately. 2) An “encounter” (such as Teddy had) is enough to require the animal’s destruction. And if the pet is bitten or scratched (and is not current on its vaccination), it must be destroyed. 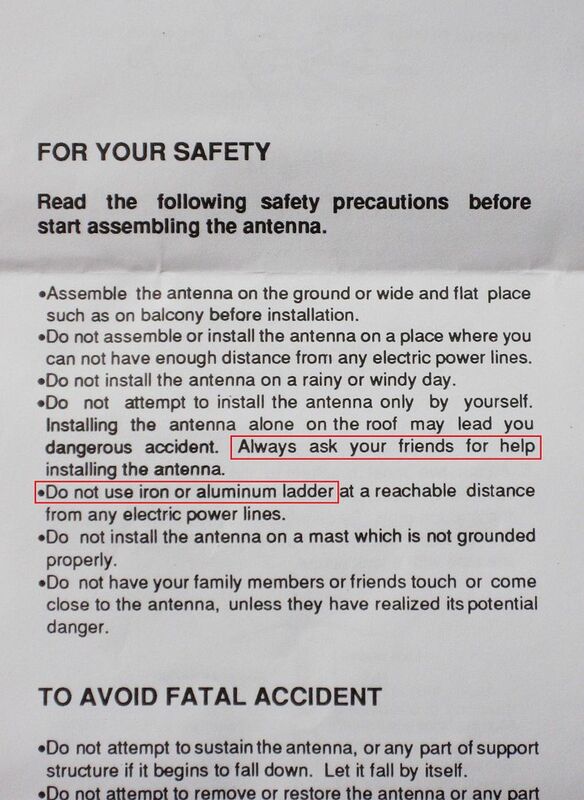 That’s the law, and given what I now know about rabies, it’s a sensible law. 3) Rabies is one of a very few diseases that can be transmitted from animals to people. And despite all our 21st Century medical innovations, there is no cure for rabies. By the time symptoms manifest in a human, it’s over. That’s why the state laws are so stringent. There are only three known cases of a human being surviving rabies (sans immediate treatment). 4) Treatment for rabies isn’t really treatment, in the traditional sense of the word. I’m the kid who skipped biology class in high school, but as I understand it, if you’re exposed to the rabies virus (which is transmitted through saliva), you’re then vaccinated for rabies. In short, your body’s immune system builds up an immunity and outruns the rabies virus, and you’re then protected from the disease. That’s why it’s so important to get treatment as fast as possible. By the time that symptoms appear, it’s too late. 5) There is no way to test humans or animals for rabies. Well, let me restate that. There is a way. Only one way. The animal is decapitated and its head is sent to the state health department (in our case, Richmond). Medical staff check the animal’s brain for the presence of the rabies virus. Short of decapitation, there is no way to test humans or animals for the presence of the rabies virus. Our 45-day in-home quarantine is now over and Teddy and I are mighty relieved. Yes, she’s “just a dog,” but she is dearly loved. 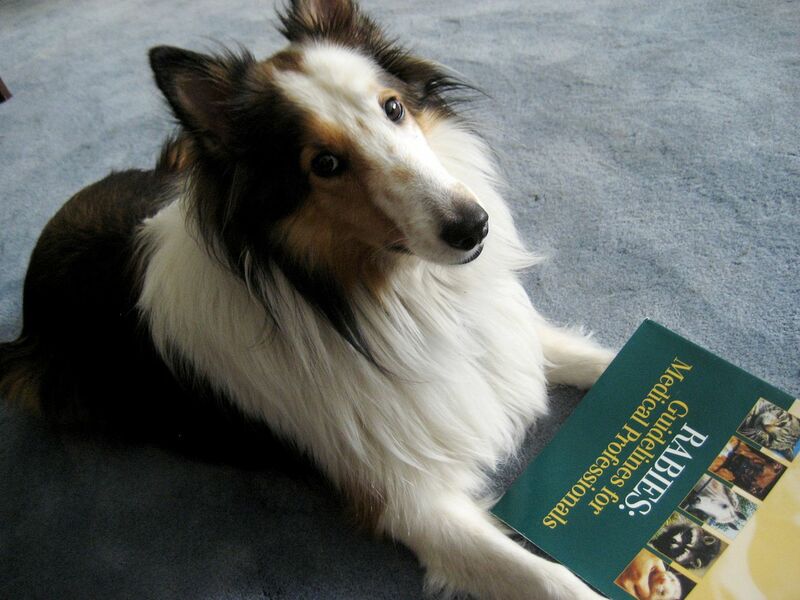 After the rabies incident, Teddy asked for a good book on the efficacy of the vaccine. Teddy's favorite auntie (Sandi Daniels) sent this book along to Teddy for some light bedtime reading. 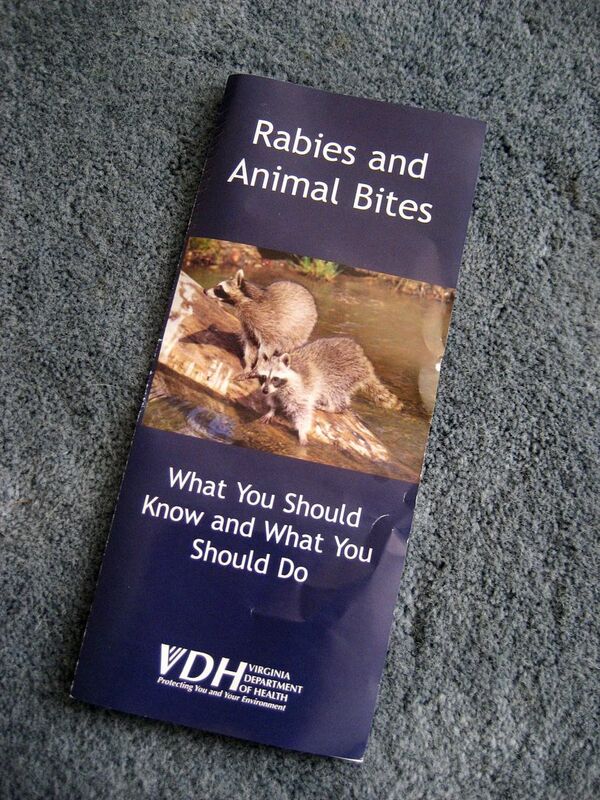 The city put out a press release on our "rabid raccoon" incident and distributed this pamphlet to our neighbors' homes. Ick. 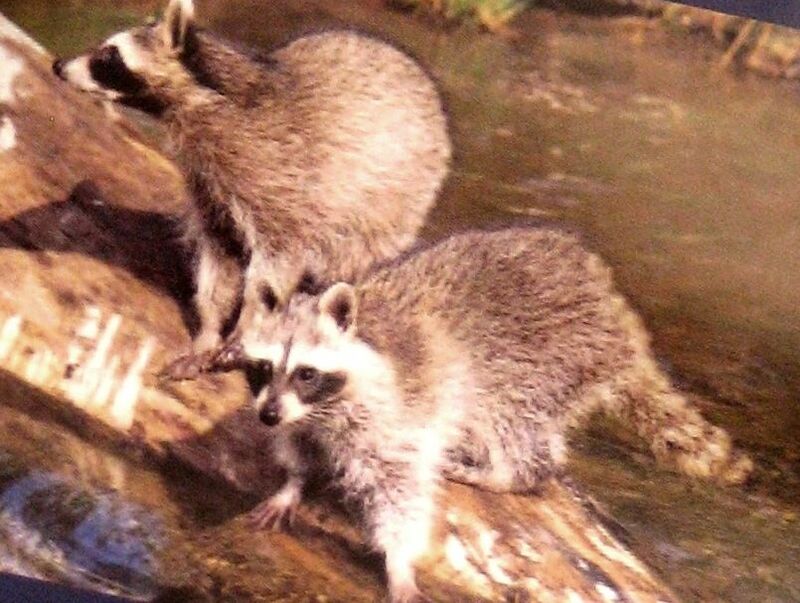 As my friend Sandi said, "Raccoons are little rabies factories." Here's a photographic re-creation of the event. "Hello Kitty" is playing the part of the rabid raccoon. Fortunately for "Hello Kitty," she will not be decapitated and have her head sent to Richmond, which was the fate of the raccoon. The raccoon wasn't nearly this cute. 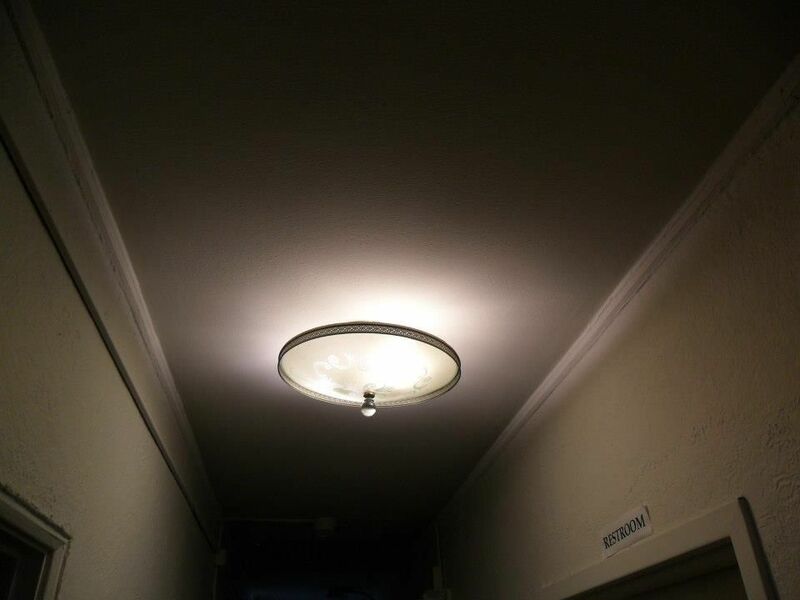 In fact, it looked like something from a horror flick. Soon after its encounter with Teddy, the raccoon stumbled over to the shed and collapsed. Due to the inherent limitations in Hello Kitty's physiology, she can't quite replicate the position of the now-deceased raccoon. Happier days for Teddy. Here, she's showing off her new hat. Please share this link with other pet lovers. Destroyed. For No Good Reason. 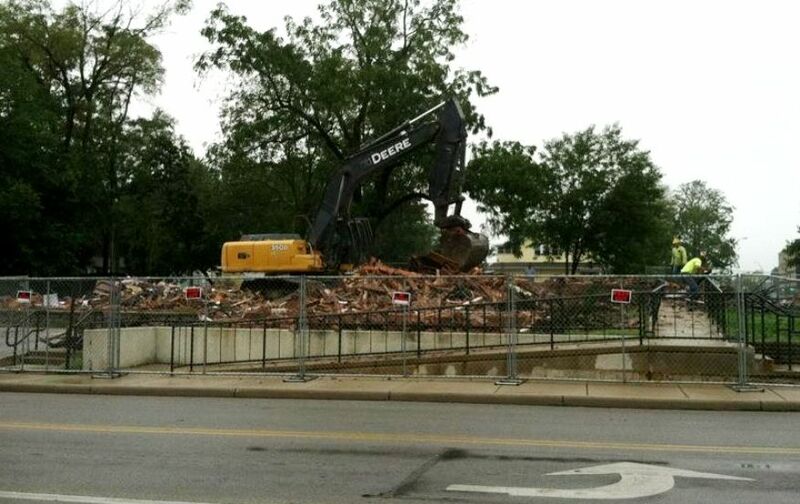 The historically significant Pop Culture Building at Bowling Green State University has been torn down. The behavior of the administration in this sorry affair (and their lack of response to a groundswell of support to save the house) has been abysmal and inexcusable. If you’re already on the BGSU donations list, call the Alumni Center and ask to be permanently removed from the “Donation Call List.” It’d be wise to explain (briefly) why you wish to be removed. The phone number is 888-839-2586. 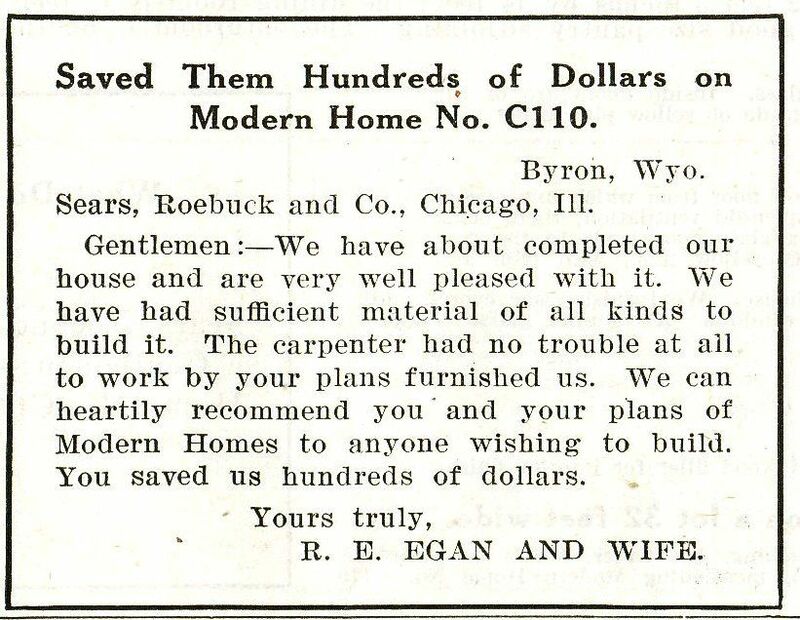 Based on research done by Rachel Shoemaker, we've learned that it took Virgil Taylor about four months to turn his 12,000 pieces of kit house into a home (in 1931/32). 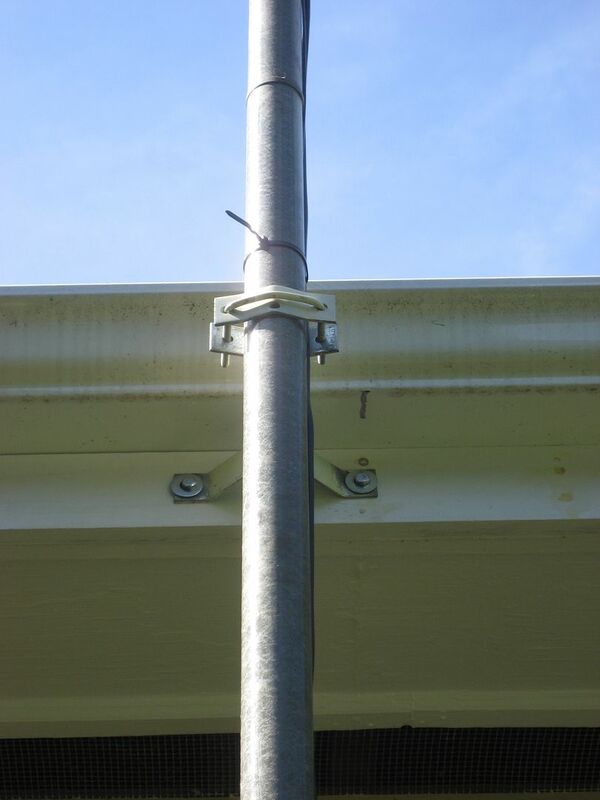 This solid, sturdy, well-built and well-maintained home couldn't offer much resistance to the heavy equipment. 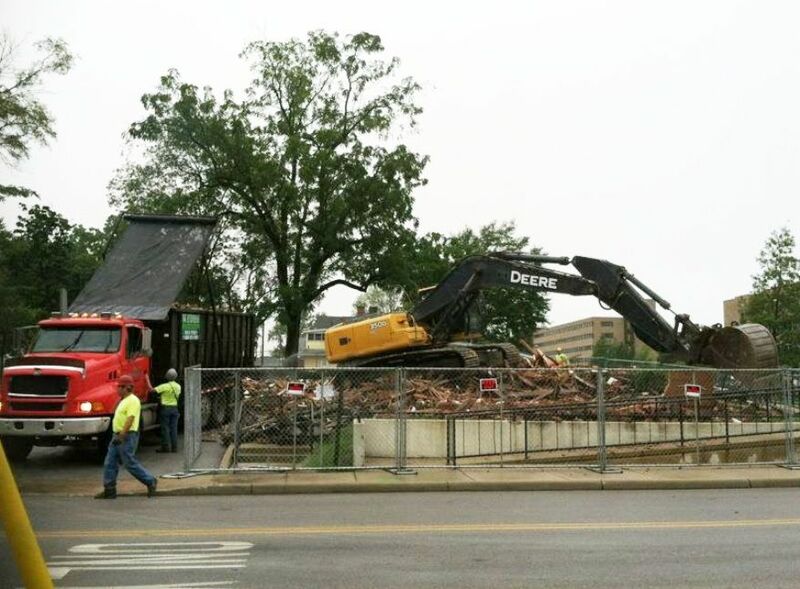 With this single act, BGSU has destroyed a significant piece of their history. Photo is copyright 2012 Marsha Olivarez and can not be used or reproduced without written permission. Despite an outpouring of support from faculty and staff at BGSU and folks throughout the community and throughout the country, the "powers that be" at BGSU destroyed this iconic piece of American history. Photo is copyright 2012 Allan Shillingburg and can not be used or reproduced without written permission. 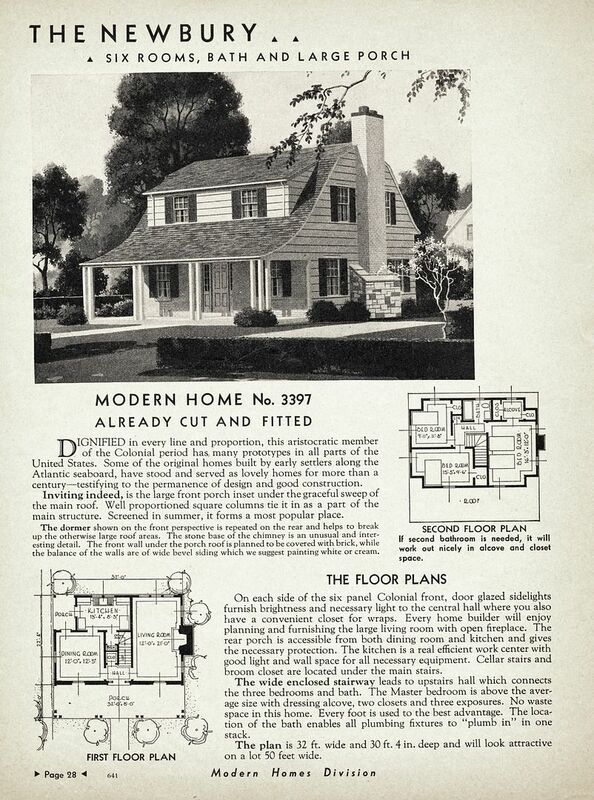 A petition with 2,100+ signatures was presented to college president Mary Ellen Mazey, urging her to consider alternatives to the destruction of this unique Montgomery Ward kit home. This is the result. Photo is copyright 2012 Allan Shillingburg and can not be used or reproduced without written permission. I'm too disgusted to be eloquent. 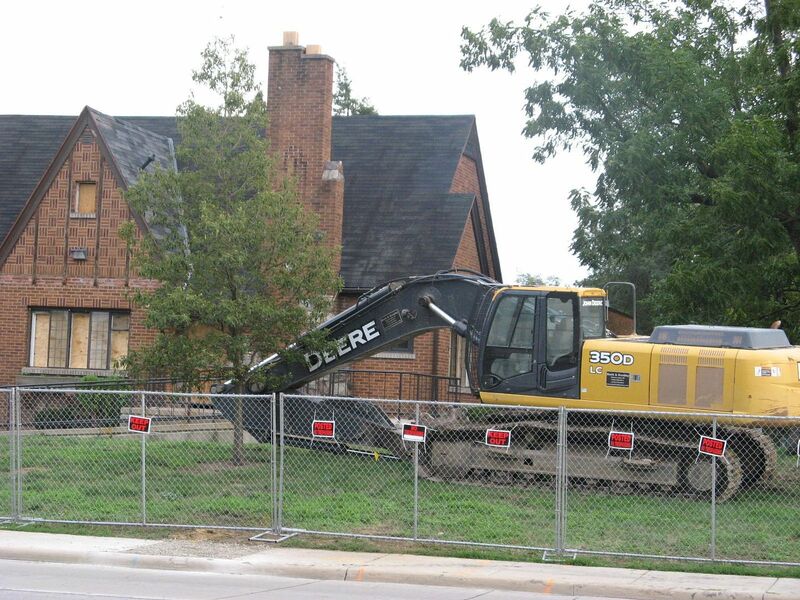 Depressing update: The house was demolished this morning (Friday, August 10, 2012). If you’re on the BGSU donations list, PLEASE call the Alumni Center and ask to be permanently removed from the “Donation Call List.” It’d be wise to explain (briefly) why you wish to be removed. 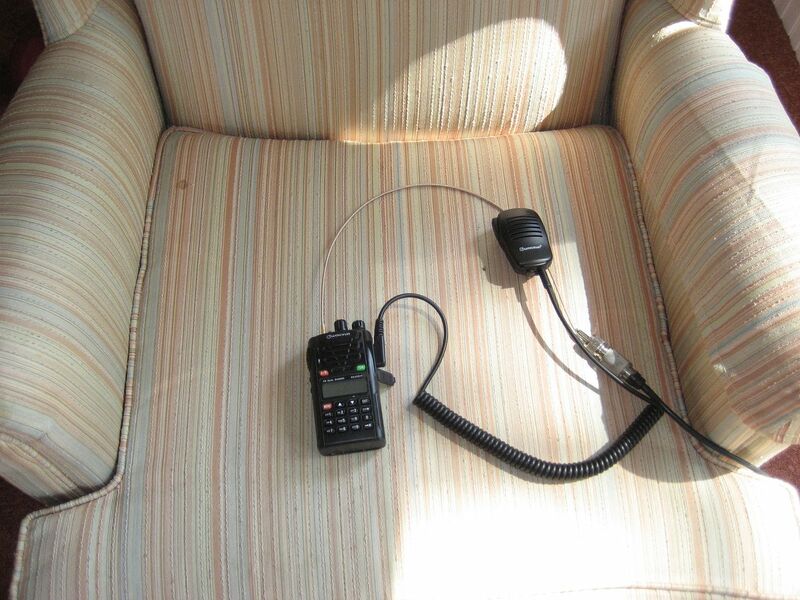 The phone number is 888-839-2586. 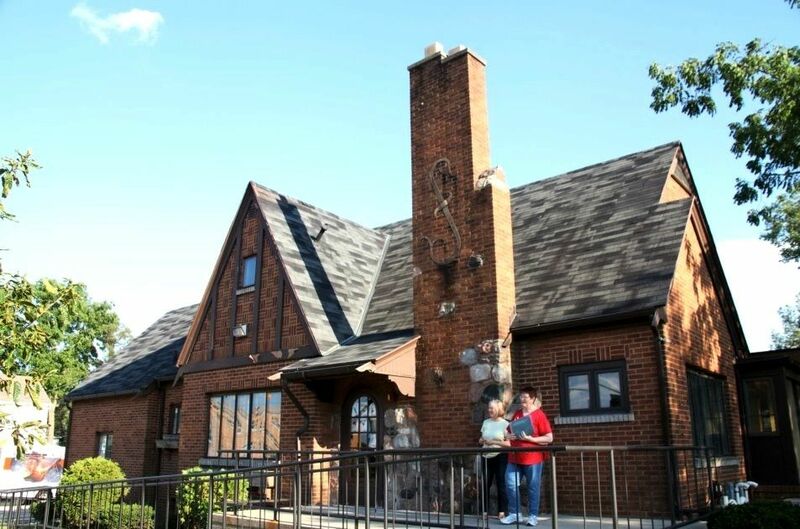 Earlier this week, I received an email response from BGSU, explaining why the historically significant kit house on their campus must be destroyed. The loquacious note I received made two points, both of which make no sense to me. 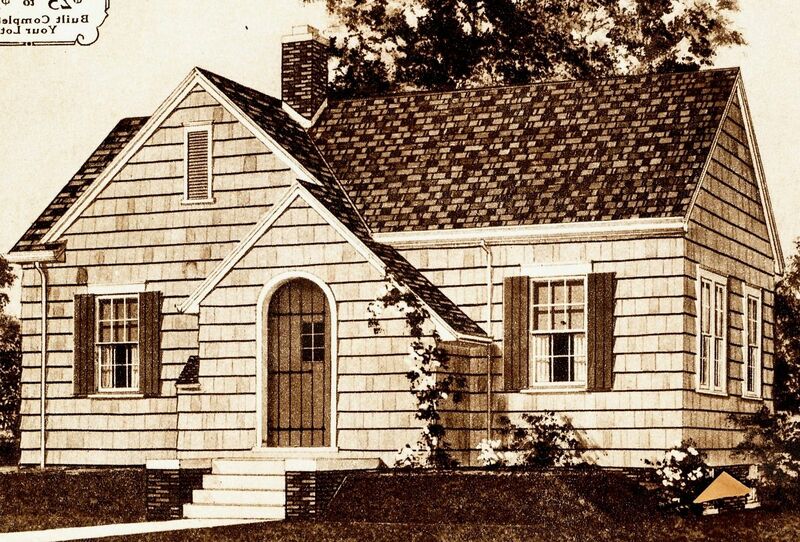 Point one: The home’s remodelings have diminished its historical value. If they were pitching this “information” to some first-year architecture student, their prolix palaver might be more palatable, but I am not a first-year architecture student. 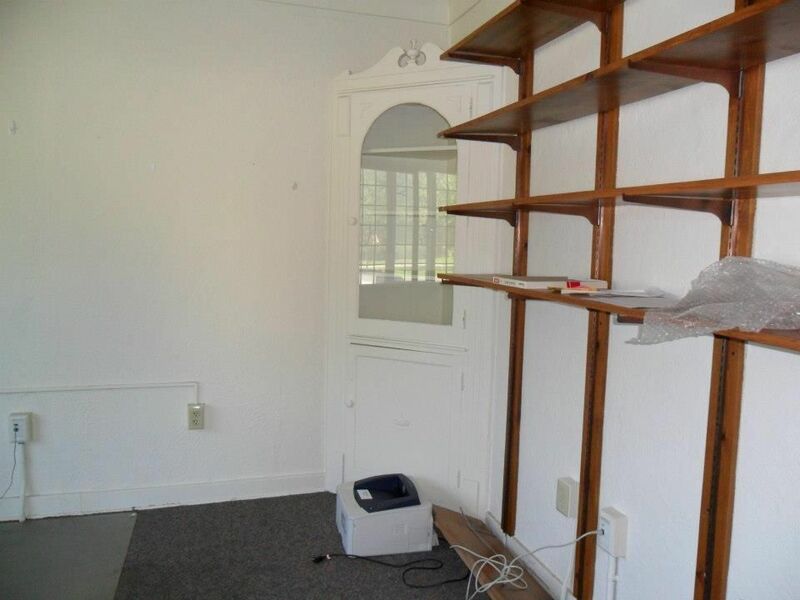 I am the author of six books on the topic of kit homes. My expert advice has been solicited and provided in two multimillion-dollar lawsuits. My books and I have been featured on PBS History Detectives, A&E’s Biography, CBS Sunday Morning News, MSNBC and BBC Radio. I’ve been interviewed by The Christian Science Monitor, The New York Times, The Wall Street Journal, Dallas Morning News and 300 other newspapers and magazines. 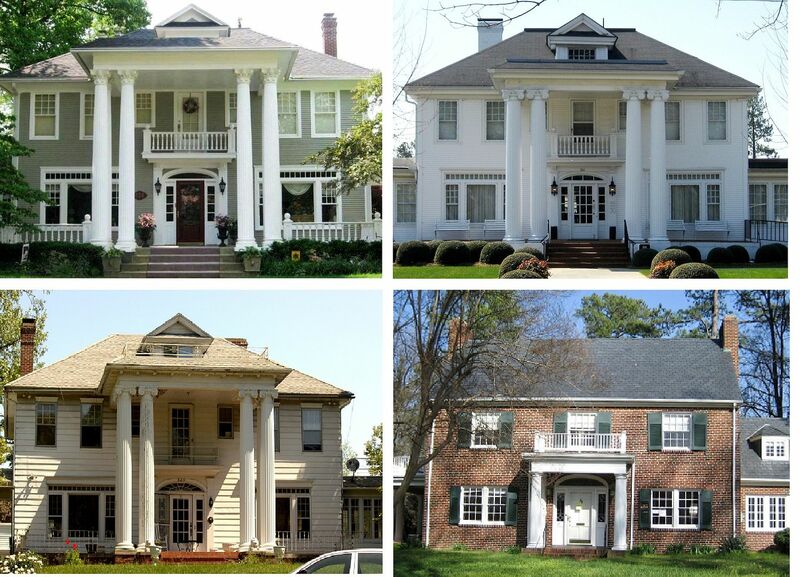 Turns out, I know a little something about old houses in general, and early 20th Century kit homes in particular. So let’s review these two points. There’s so much that’s wrong with this statement, I’m not sure where to begin. Saving the house “just because” it’s a solid old building made from superior quality materials harvested from virgin forests is one good reason to save this structure. And if this were the singular stand-alone reason to save this house, it’s a mighty strong one. 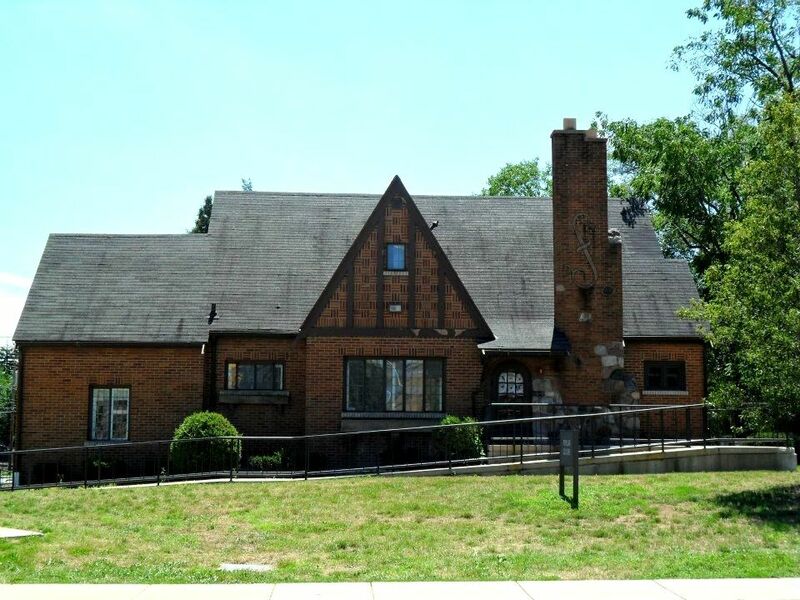 Saving the house “just because” it’s a classic example of a Wardway House (sold by Montgomery Ward in 1931) is yet another good reason to save this house. And if this were the singular stand-alone reason to save this house, it’s a mighty strong one. And perhaps the most important reason is this: The BGSU house was a custom design from Wardway, and the BGSU Popular Culture Building was created in the perfect image and likeness of the Sears Lewiston. It’s a Sears design (The Sears Lewiston), milled and manufactured by Montgomery Ward. How many of those have I seen in my travels to 25 states? 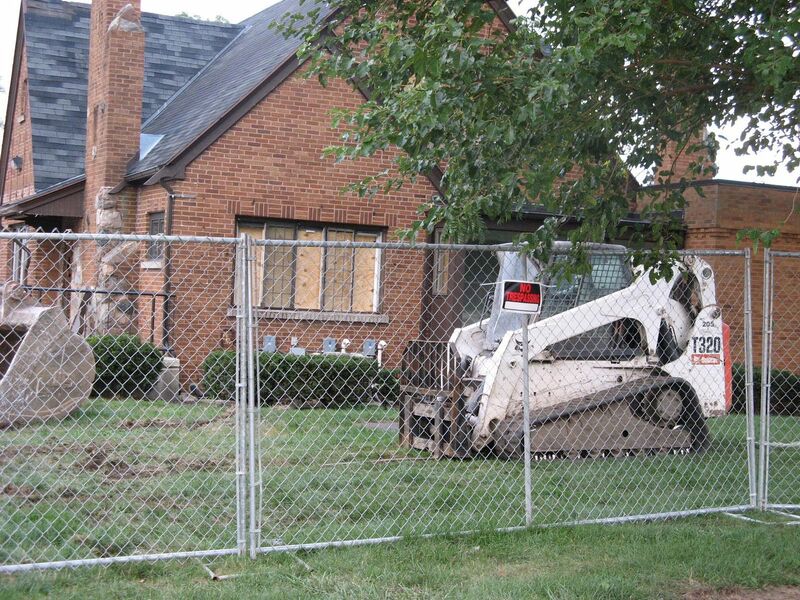 Oh wait, there’s only ONE and there’s now a bulldozer poised in front of the house, just waiting to destroy it. And what about moving it? 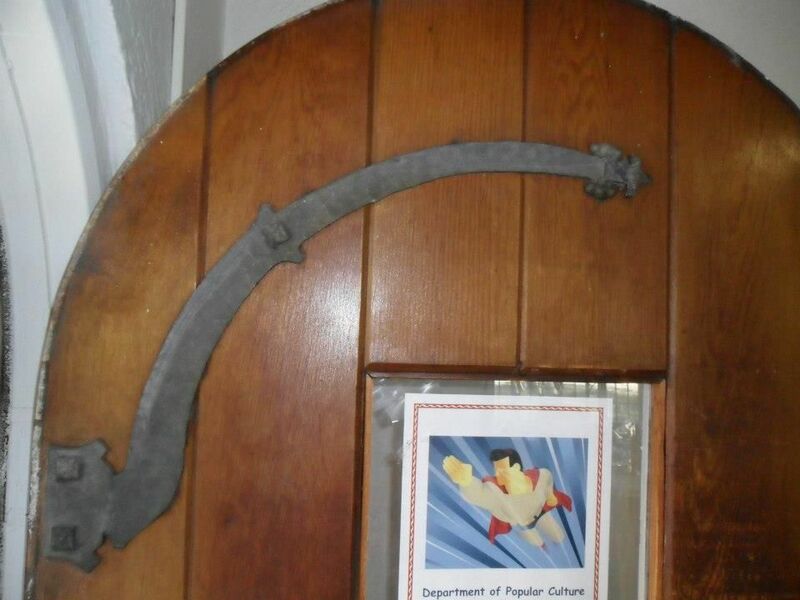 Experts have examined the structure and determined that it can be moved for less than $20,000. Moving this house is a viable, realistic, win-win alternate solution. So what about this “falling apart” business? 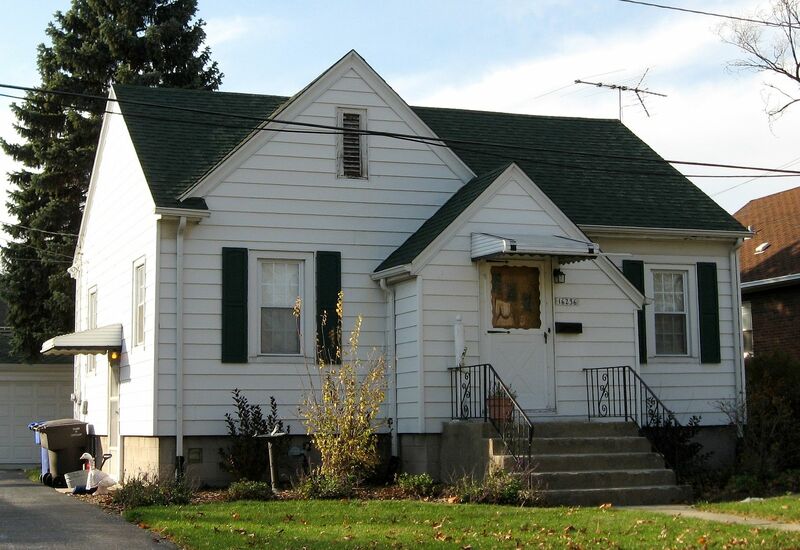 I do not believe that this house would “fall apart” if it were jacked up and moved. Kit homes from this time period were extremely well built and incredibly solid. As mentioned in another blog, these framing members in this house are #1 Southern yellow pine, milled from trees that grew slowly in first growth forests. Slow-growing trees equals very dense lumber. I’ve examined the lumber in dozens of old kit homes, and it is very dense, hard lumber. 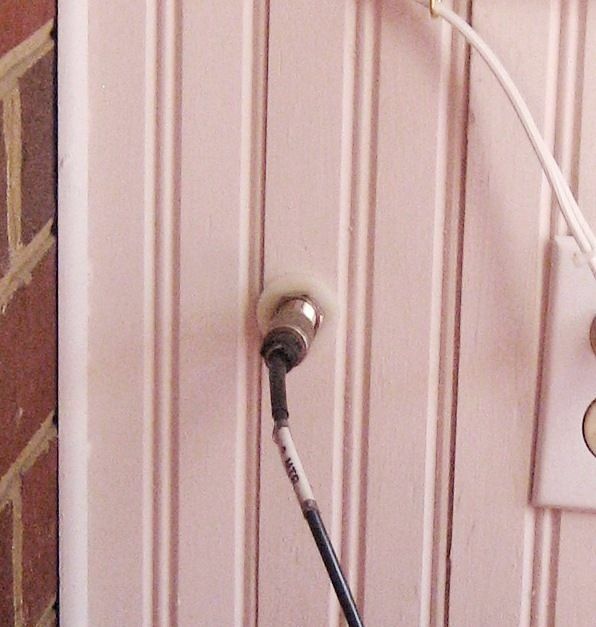 Homeowners report that they can’t drive a nail into the old floor joist without pre-drilling a hole. You’d have to see it to appreciate it. 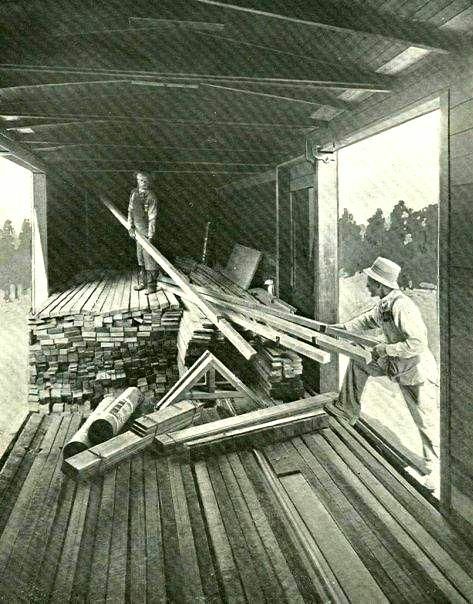 And the “lumber” (and I use that word loosely) that you see stacked high at today’s big box stores doesn’t compare to the quality of lumber present in these pre-WW2 kit homes. And that’s just the framing members. 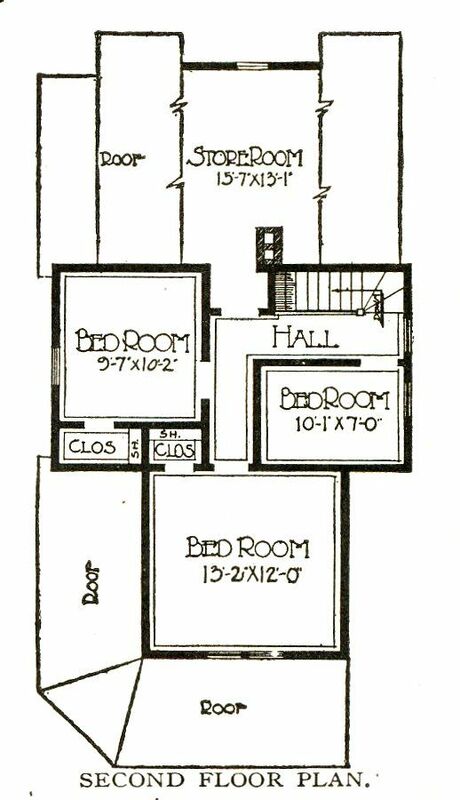 The floors in these kit homes were typically oak (first floor), with hardrock maple in the kitchens and baths. Maple. Solid, hardrock maple in the kitchens and baths. 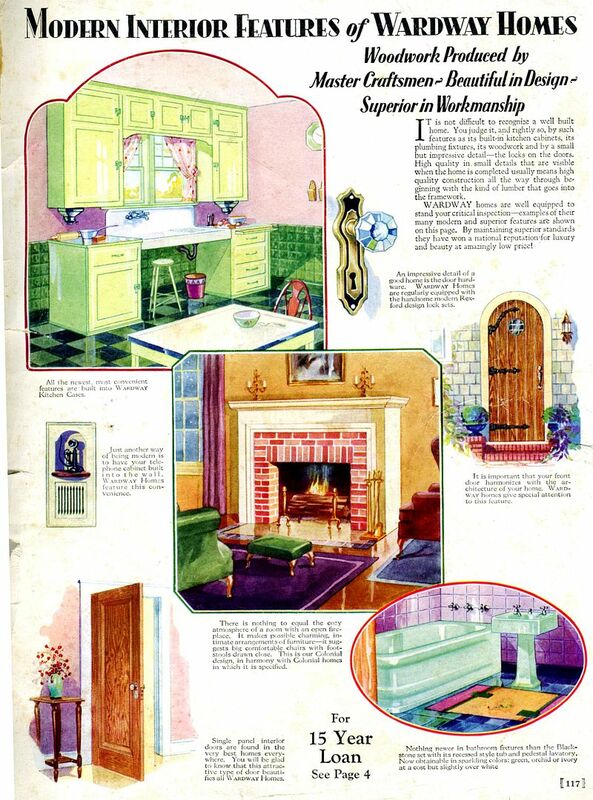 In the late 20s/early 30s, it was known that maple would take a beating in those humid, high-use rooms and last forever. 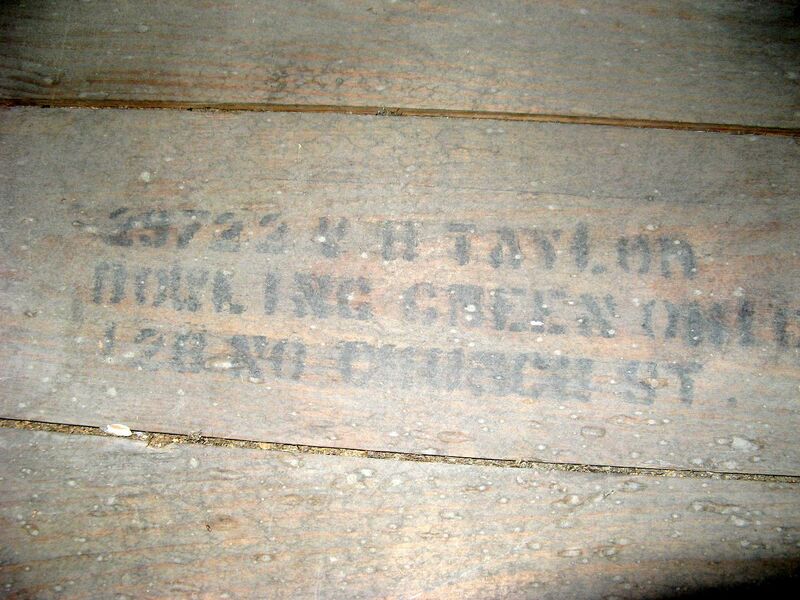 I’ve met homeowners who pull up the old floor coverings in the kitchen and sand down those original maple floors. They’re mighty pretty when they’re refinished. That’s what BGSU is getting ready to knock down and send off to the landfill. And it’s a sickening thought. If BGSU really wants to destroy this historically significant house, there’s little I can do from my home in Norfolk, Virginia to stop them. 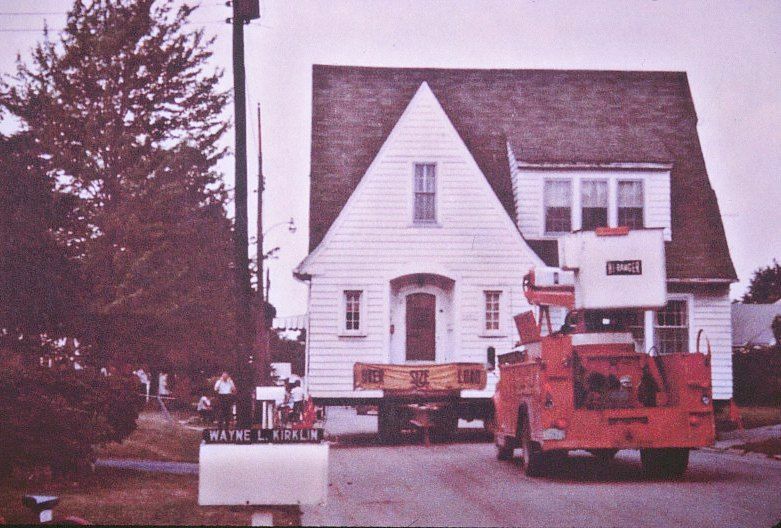 But I do know that they’re wrong about the home’s value: That house still retains a great deal of historical significance to the school, to the community and to the country. And this house can be moved. Tomorrow or perhaps early next week, this rare bit of Americana (handcrafted by a rugged individualist who went to the Bowling Green Train Station in November 1931, and picked up 12,000 pieces of building material and turned it into a beautiful home), will be transmogrified into 1500 tons of ugly construction debris at an Ohio landfill. Virginia Taylor, the daughter of the home's original builder, stands in front of the house that's now on death row. You'll notice that the roofline has no sags and no dips. You'll also notice that the body of the house is in remarkably good condition. This house appears to be square and true. And - sans additions - it would not be difficult to move. 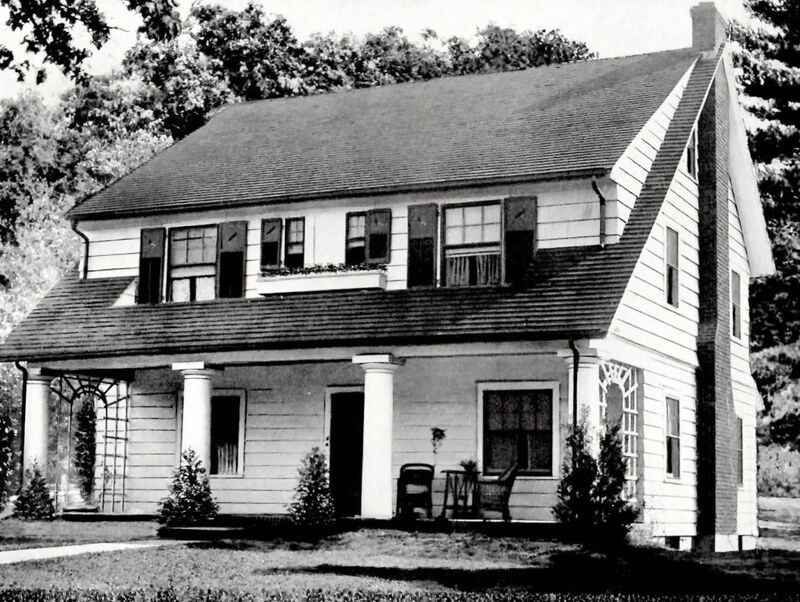 A picture of the house from happier days, when it was completed in 1932. Disgusting and disturbing. Photo is copyright 2012 Raymond I. Schuck and can not be used or reproduced without written permission. How many cans and bottles will BGSU have to recycle to compensate for the house they're sending to the landfill? Gosh, I can't count that high. 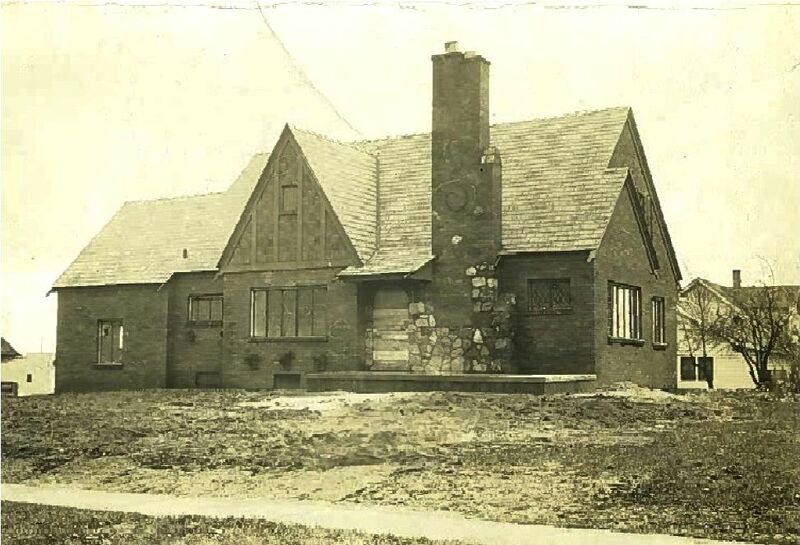 The Wardway House - as offered in 1932 - weighed about 300,000 pounds, not counting the bricks. Id' say that BGSU will probably have to spend 20 years recycling everything in the college to offset this massive house dump they're getting ready to do. Photo is copyright 2012 Raymond I. Schuck and can not be used or reproduced without written permission. Unbelievable. Photo is copyright 2012 Raymond I. Schuck and can not be used or reproduced without written permission. Just unbelievable. Photo is copyright 2012 Raymond I. Schuck and can not be used or reproduced without written permission. If any readers have any ideas what can be done to save this house, please contact me immediately. Leave a comment below and I will respond within the hour. To read more about the house, click here. Kit homes get moved surprisingly often. Read about that here. Sears Lynnhaven being moved in the 1980s in Muncie, IN.